Moab has its typical weather, but it’s not immune from surprises from Mother Nature. As a general rule you can count on jacket weather in spring with temperatures averaging around 60 degrees in March and creeping up to the 80’s by May. Summer is predictably hot with temperatures hovering around 100 degrees. Fall is pleasant and mild ranging from the 80’s in September down to the mid 50’s in November. In winter, higher elevations see snow, making for an incredible contrast against the red cliffs. However, lower elevations generally maintain milder conditions still appropriate for exploring trails. 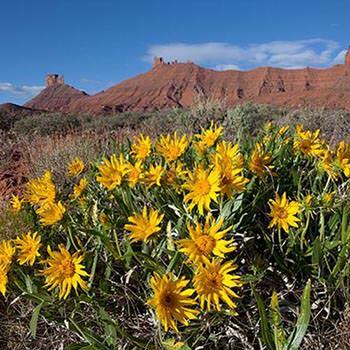 Spring and fall are great times to visit Moab; it is usually not as crowded and the temperatures are ideal for long days of hiking, mountain biking and most outdoor activities. Both National Parks in Moab are open year-round. The visitor center at each park have different operating times, but the parks themselves are open 24 hours. Spring is usually less crowded with milder temperatures. Not all activities may be available in early spring. 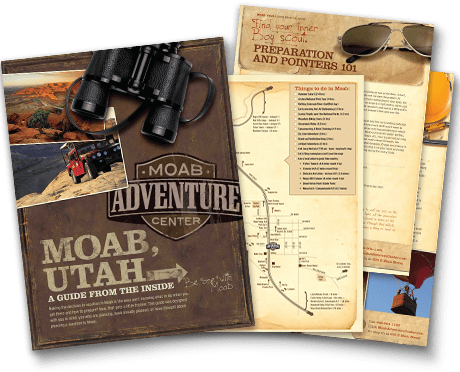 During the Easter holiday Moab experiences one of its biggest crowds; make sure you have lodging reservations before arriving in Moab. All activities are available but temperatures can reach 100+ degrees during the day. Crowds can be overwhelming. Moab is usually not as crowded during fall, and temperatures are still warm enough to do most outdoor activities.Not all activities may be available in late fall. Crowds can overshadow your experience in Moab during Labor Day Weekend and UEA weekend (usually during mid-late October). Tourist activity during the winter is minimal and trails are wide open. Lodging options are vast and affordable. Only a few guided activities are available but self-guided hikes and driving tours are accessible most winter.